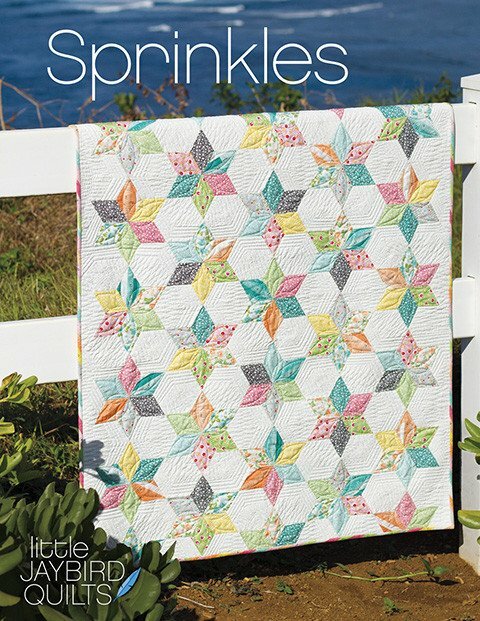 Geri will guide you through this easy strip pieced pattern. It is jelly roll friendly so you can make it scrappy or stop in and see her sample quilt which takes on a kaleidoscope theme. Besides your sewing machine, basic sewing supplies and fabric, you will need the Sprinkles pattern and Sidekick Ruler.